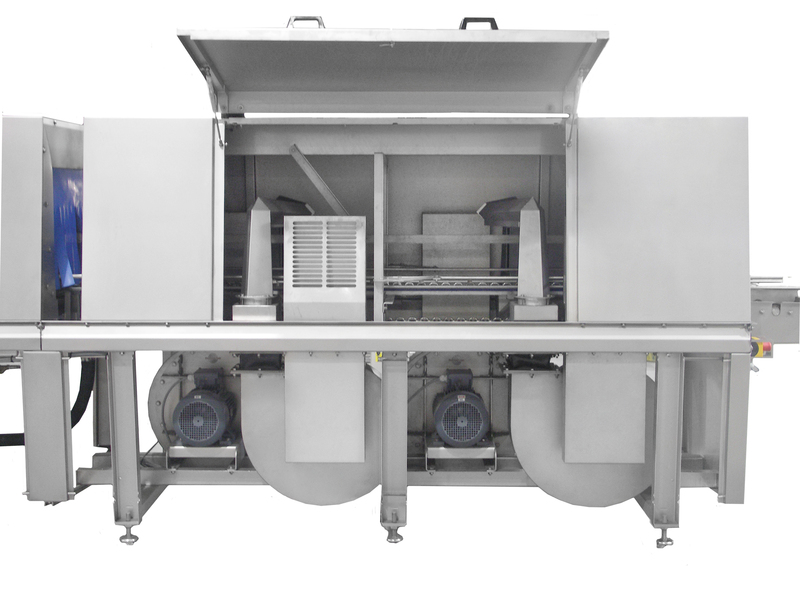 Immediately after the washing process, the products can be transported through the airblow section by means of a driven chain conveyor. Here the products are surrounded by various airblow openings, connected to one or multiple fans. Because of the high air velocity, the majority of residual moisture on the product will be removed. Do you want to talk about the Airblow section? You want more information about Airblow section?